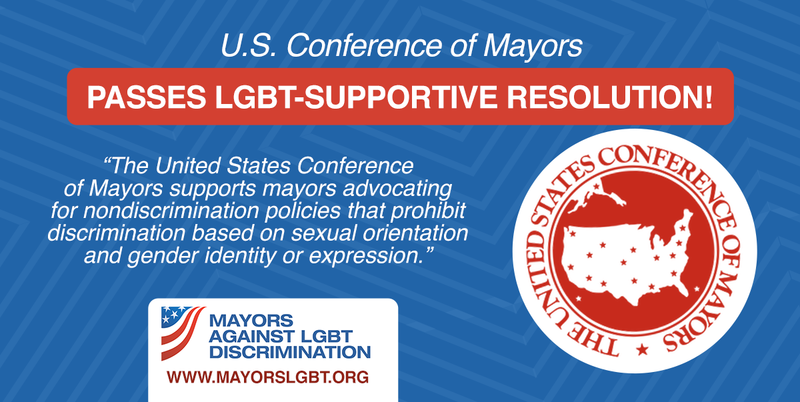 This week the U.S. Conference of Mayors, the official non-partisan organization of cities with populations of 30,000 or larger, adopted a resolution supporting mayors working toward LGBT-inclusive non-discrimination and against anti-LGBT policies and laws. NOW, THEREFORE, BE IT RESOLVED, that The United States Conference of Mayors supports mayors advocating for nondiscrimination policies that prohibit discrimination based on sexual orientation and gender identity or expression and encourages cities and states around the country to take action to ensure inclusiveness in their own cities, and to use their collective voices and resources to oppose discrimination across America. Thank you to San Francisco Mayor Edwin Lee for proposing the resolution – and to the many mayors who signed on as cosponsors. 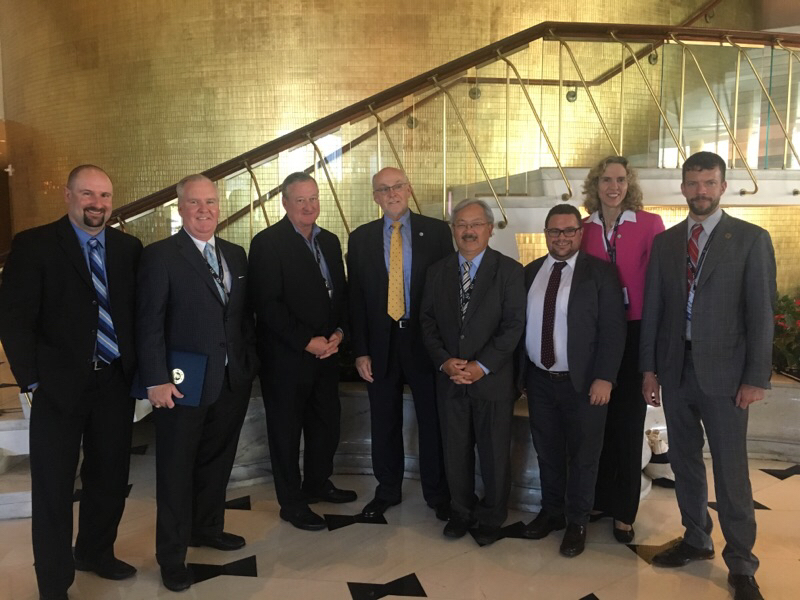 Also, at last week’s Summer Meeting of the U.S. Conference of Mayors in Miami, several members of the Mayors Against LGBT Discrimination coalition convened for breakfast. Over breakfast, the group of mayors discussed ways to contribute to the coalition and the best ways for the coalition to come together to create safer, more inclusive communities free from discrimination. Thank you to all of the mayors for joining us!